Korean broadcasting companies have begun competing to cast Lee Seung Gi. The handsome star will be discharged from the army soon, and he's receiving love calls from numerous dramas and TV shows now. No doubt, Lee Seung Gi is one of the most popular young male stars in Korea. He's handsome, smart and polite. And he never puts on airs. In addition, he didn't dodge military service, and he fulfilled his military duty just like ordinary young Korean people do. You know, in Korea, all able-bodied men over 19 are required to serve in the military for 20 months. The constitution clearly states that every Korean citizen has the right, as well as the obligation, to serve in the military without any discrimination. Famous k-pop stars are no exception. However, 20-month-long compulsory military service is an unavoidable source of trouble for Korea's young men since they must suspend their studies in colleges or quit jobs at the peak of their youth. Especially, for k-pop stars, who tend to have short careers, compulsory military service is exactly what they want to avoid. So, the reason why Lee Seung Gi is receiving love calls from numerous dramas and TV shows is not only because he is a very popular star but also because he is a likeable star who fulfilled his military duty. According to Lee Seung Gi's agency, nothing is confirmed yet, while the male star has many options. He may make a comeback by taking the lead role in tvN's new drama "Hwayugi", while he received a love call from SBS' new reality program too. The program is a reality & travel show just like "1 Night, 2 Days" is. That's not all. The production crew of "New Journey to the West" is thinking of hiring Lee Seung Gi for season 5 of the program. You know, Kyuhyun, who has appeared in the season 4 of the program has joined the army, and it is expected that Lee Seung Gi will take up the baton. Lee Seung Gi has a great affection for "New Journey to the West" because he has been very close with the cast members for a long time. 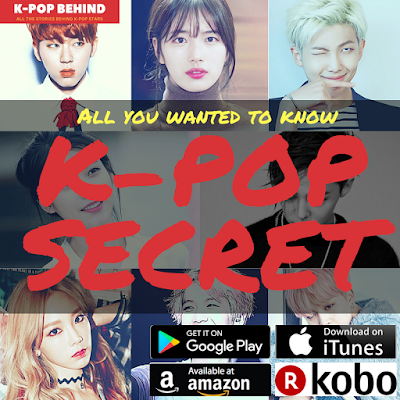 K-pop Secret Vol.1 contains stories about the real personality of 40 Korean stars. The author, who has interviewed more than 100 Korean celebrities since 2010 tells the story of famous Korean stars including G-Dragon, EXO Baekhyun, Nichkhun, IU, Suzy, Kim Soohyun, Lee Kwangsoo, Song Joongki, Jun Jihyun, Park Shinhye and more.